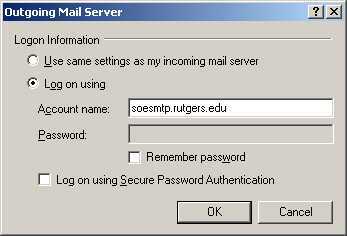 Until now, if you wanted to send email from a non-rutgers address, you had to use the mail server specified by that provider. Unfortunetly, many free email providers don't provide SMTP (outgoing) servers, and some ISPs, like Verizon, don't let you use their servers to send non ISP mail, even if you are a subscriber. This page will allow you to do two things. 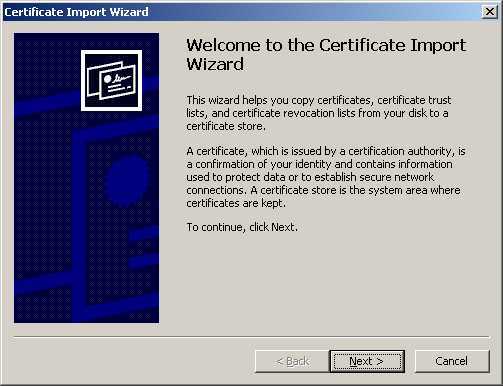 The first step is to install these two certificates, one for soemail, and one for soesmtp. Now, repeat the process for the other link. 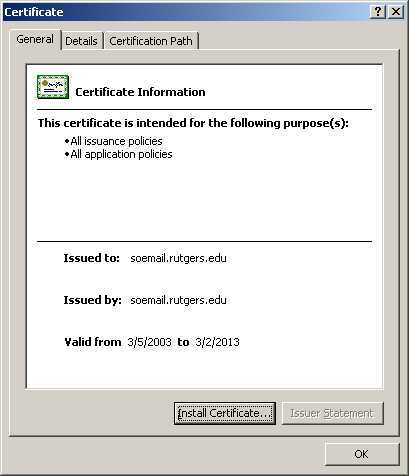 You should install certificates for both soemail and soesmtp. 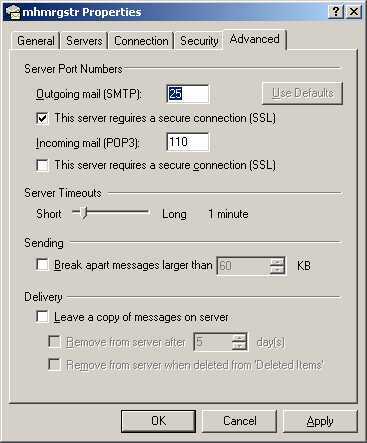 You need to tell Outlook Express to relay mail through soesmtp, using SSL, and not using "Secure Password Authentication" (don't worry, SSL is more secure). 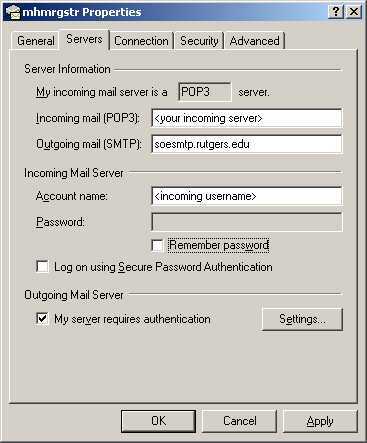 Click on the "Settings" button next under "Outgoing Mail Server" and choose "Log on using", entering your account name and password. You're now done. 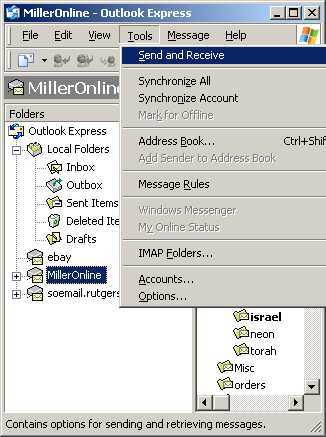 Enjoy the email server!